Rumor has it that beef ribs are often overlooked, as pork ribs are what most people visualize when they hear “ribs”. French politician Jean Glavany claims: “Those restaurant chains that are withdrawing beef ribs are . . . participating in this psychosis and should try to avoid it, . . . There is no question of banning beef ribs in our country.” And posts can be seen on American forums begging for good beef rib restaurant recommendations. Evidently, pork prevails in the ribs race. IntoWine asked our panel of experts to share their recommendations for the best Burgundy red wine worth seeking out (for the price of course): Two words come to mind when I think about Red Burgundy ­– Style and Focus. For those who know, when looking for Pinot Noir that expresses the true uniqueness of terroir and variety, you look at Burgundy. Really good Burgundy, unfortunately, does come at a price. IntoWine asked our panel of experts to share their recommendations for the best wine to pair with grilled chicken: Chicken is one of my favorite meats , because it is so versatile. When grilling chicken, the meat and the flavors take on a wholly different profile than if it were boiled or sautéed. Grilling adds a layer of flavor that is deep and broad with a savory spice character that is uncharacteristic for a white meat. For this preparation, we should think about the intense heat that comes along with grilling; the carmelization of the skin; the smokiness. For me, a grilled chicken pairs perfectly with Zinfandel. One really tasty Zin that is perfect for grilled chicken is Ravenswood’s Big River Zinfandel. Rich fruit aromas and soft velvety tannins are followed by a long, lingering finish that ties very nicely in to grilled chicken. At about $25, this wine is a best buy and a perfect choice for any grilled chicken recipe. – Ben Spencer is a diploma student with the Wine & Spirit Education Trust and an IntoWine Featured Writer. IntoWine asked our panel of experts to share their recommendations for the best Napa Valley red wine worth seeking out (for the price of course): Napa Valley has a reputation for a reason. 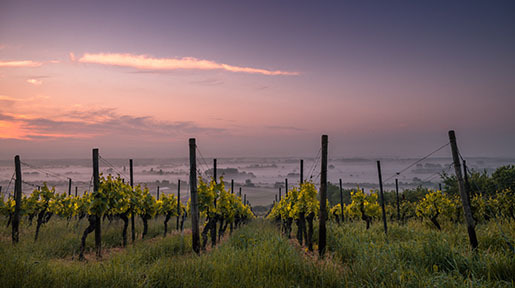 A millennia of earth-moving eruptions and oceanic intrusion (which stripped the valley’s hillsides of deep soils) has helped to develop a particular level of well-deserved glory for the region’s red wine makers. One consistently bold red wine worth seeking out is the Tor Kenward Cimarossa Vineyard Cabernet Sauvignon . The profile of the wine is ripe, firm, juicy, with soft tannins. Blueberry, florals, mint, cocoa, and anise, are signatures of this single-vineyard wine. Cimarossa vineyard is on Napa’s This wine can be enjoyed when young, but shows best if aged a minimum of three years. At $60-$80, this cult red soars to the top of many sommelier’s cellar lists for the same reason it comes to my mind. Cimarossa vineyard is one of the more elevated vineyards on Howell Mountain, at over 2,100 ft above sea level. 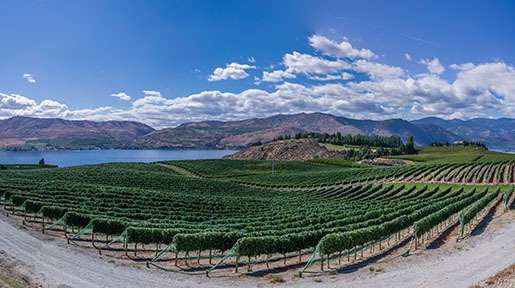 The soils on the mountain are layered with volcanic ash, called ‘ tufa’ , and a high iron content which stresses the vines and produces deeply concentrated fruit, small berries, and intense flavors. In the winery, Tor Kenward uses an extended cold soaking and indigenous yeast fermentation. The wines are aged for almost two years in French oak and bottled un-fined and un-filtered. The resulting wine is heady and bold and wonderful. – Ben Spencer is a diploma student with the Wine & Spirit Education Trust and an IntoWine Featured Writer. IntoWine asked our panel of experts to share their recommendations for the best wine to pair with crab: Crab is a succulent shellfish that has an almost sweet flavor profile and a versatility of cooking adaptations. The richness of the meat is what you want to focus on when enjoying crab. And, because crab is not the cheapest seafood around, you want every bite to count. This means the wine should be bright and complementary and crisp – with a palate cleansing acidity. One wine floats right to the top for me, Dry Hungarian Furmint. It’s not always an easy find, some vintages of this beautiful white wine are diverted into the house blend. But when this wine is available, it is worth stocking your cellar shelves. Shröck’s dry version of Furmint showcases a veritable basket of apple and chamomile while retaining a crisp honeydew finish. Like most good things in this world, the rarer it is the more unique the experience. Furmint is grown widely in Hungary for blending with Harselevlu in sweet Tokay. Now Shröck is winning fans over with her rediscovery and promotion of Furmint’s possibilities as a dry white wine. Heidi Shröck took over the family winery 20 years ago after working in wineries in South Africa and Germany. According to one of Shröck’s distributors, “The family motto states that tradition should be honored but also mixed with progress; for it means keeping alive the fire, not adoring the ashes.” When paired with Crab, I’m sure a few more logs will be thrown onto that fire. (About $20) – Ben Spencer is a diploma student with the Wine & Spirit Education Trust and an IntoWine Featured Writer. IntoWine asked our panel of experts to share their recommendations for the best wine to pair with grouper: Grouper is a member of the sea bass family. It is a lean and firm fish that can be prepared in a host of ways – baked, poached, broiled, grilled, pan fried, steamed, etc. Grouper’s claim to fame really is its ability to absorb its environment – typically lightly spiced sauces. When served with wine, the best thing to do is to find something that will not try to compete with your preparation. 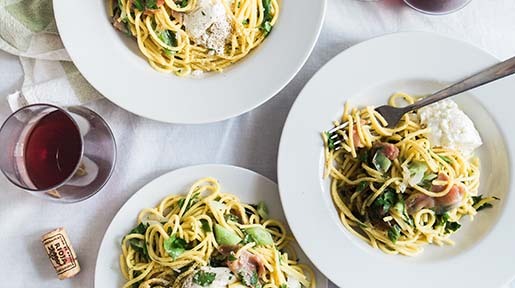 Arneis is the perfect wine for just such a catch. Arneis is a Northern Italian white wine grape, characterized by a low acidity, subtle hints of citrus, herbs, and oils. The wine typically has a broad, appealing mid palate and is best enjoyed when young. Arneis is most popular in Piemonte. 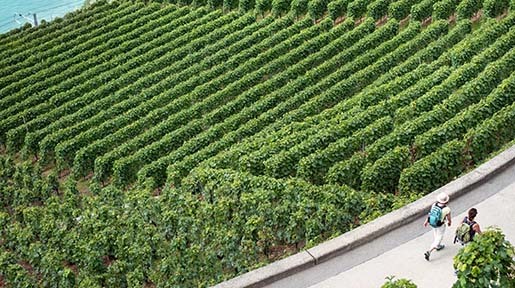 The City of Roero is home to Arneis, which is also called Barolo Bianco, or simply Roero. Because there are only a handful of Arneis producers in America, it can be tough to find – it usually sells out very quickly. That being said, a few really good examples of Arneis exist inside and outside U.S. borders. Some of the better producers are Ponzi, from Oregnon’s Willamette Valley and Ceretto, from Italy. (About $15 – $25) – Ben Spencer is a diploma student with the Wine & Spirit Education Trust and an IntoWine Featured Writer. IntoWine asked our panel of experts to share their recommendations for the best Bordeaux white wines for the buck: We don’t typically think of Bordeaux and white wine. Bordeaux is known for red wines. But there is a small island of white that is in fact quite good and entirely worth its price. Bordeaux white wines typically sell for a fraction of what a red wine from the same chateau would cost. 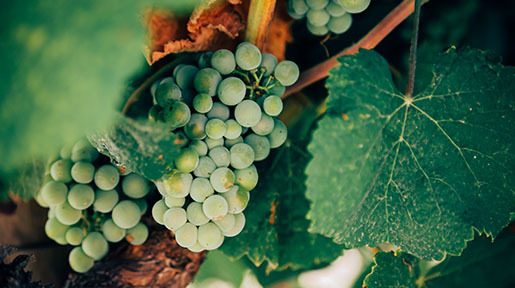 The traditional grapes included in the region’s white wines are Semillon, Sauvignon Blanc, Muscadelle, Ugni Blanc, Folle Blanc, and Colombard. Semillon and Sauvignon Blanc are the two grape varieties used for dry white wines. A good example of what Bordeaux does when it’s not making age-worthy and collectible red wines is the Grand Village Blanc, made by Chateau Lafleur. The rich tree fruit of the Semillon (apples and pears) carries the racy citrus of the Sauvignon Blanc to an invigorating finish. At about $15, it is worth seeing what the red wine kings have hidden in their treasure chest. – Ben Spencer is a diploma student with the Wine & Spirit Education Trust and an IntoWine Featured Writer. IntoWine asked our panel of experts to share their recommendations for the best wine to pair with baked chicken: Baked chicken is a dish that can be both versatile and elusive . Honing in on just the right flavors, temperatures, glazes, marinades, and pairings can be a real task. To make things easy, I suggest any white wine that has a ‘New World’ style. Ripe melon, spices, and citrus fruit should be the hallmark flavors. A wine that has undergone malolactic fermentation (MLF) and was aged in new French oak would be ideal. Generally, Chardonnay would be my one go-to wine because ‘New World’ Chardonnay is typically fruity, buttery, and ‘toasty’. But more and more white wines are being made in a Chardonnay-like style. It is the flavor profile of well made Chardonnay that pairs so easily with chicken. If you are feeling adventurous, strike up a conversation with the wine buyer at your favorite local shop. Ask them which white wines that have that characteristic buttery style. If you have a specific recipe in mind, think of complementary flavors. Almost every wine label will have a description of the contents on back. You can get a pretty good wine (or two) within the $10 to $20 range. – Ben Spencer is a diploma student with the Wine & Spirit Education Trust and an IntoWine Featured Writer. IntoWine asked our panel of experts to share their recommendations for the best Sonoma County white wine for the price: Sonoma’s reputation for making ultra premium wines does not come without merit. 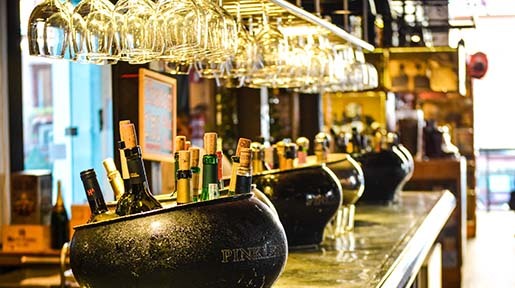 Sonoma has history of making focused, sumptuous wines from Chardonnay, Pinot Noir, and Bordeaux varieties. Recently, I came across Leo Steen’s Chenin Blanc. The wine proved to an honest expression of the classic French variety, with hints of citrus and island fruit. 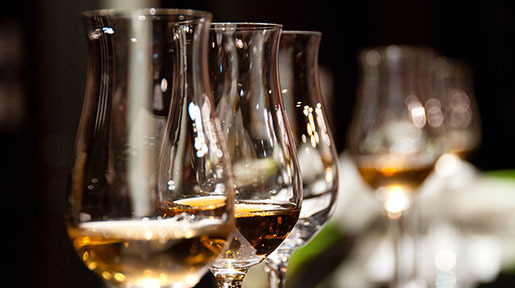 The palate is rich, with a clear acidity that carries through to the finish. 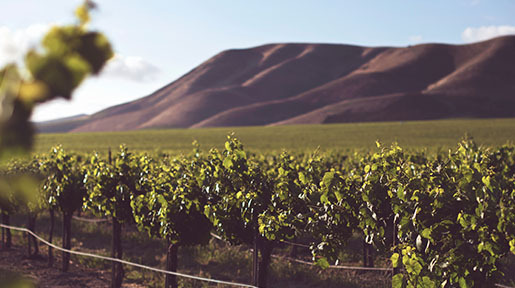 The grapes for this wine come from a small sustainable vineyard in the Dry Creek Valley. 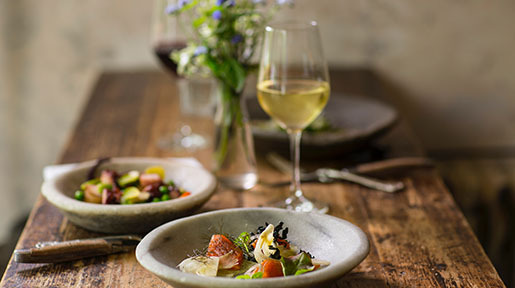 The sandy, stony soils contribute to the vitality of this unique white wine which would pair well with just about any seafood, salad, or chicken recipe. (About $20) – Ben Spencer is a diploma student with the Wine & Spirit Education Trust and an IntoWine Featured Writer.